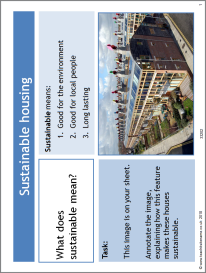 This resource looks at different options for sustainable housing. and how we could make local housing more sustainable for future generations. BedZed is used as an example of sustainable housing.